Thanks in large part to a number of reality television shows like Dancing with the Stars, social dance has enjoyed an American revival. SLCC classes might not partner students with the likes of Cheryl Burke, Emmit Smith, Gilles Marini or Anna Trebunskaya, but they do offer a way to start. The Department of Health and Lifetime Activities (HLA) offers a wide range of activities to encourage lifelong wellness, including social dance I and social dance II. These classes not only encourage fitness, they also teach a useful skill for a variety of occasions. The foxtrot is a progressive dance known for the long flowing movements across the floor. The cha-cha is a Cuban dance known for the Cuban hip movement. The waltz is one of the oldest dances around and when it was first introduced it was conceded very scandalous because partners are held in closed dance position. The triple swing is a variation of the Lindy Hop and is also known by the name east coast swing. “We kind of vary the class based on the students that are there and the dances that they would like to participate in,” said Welker. 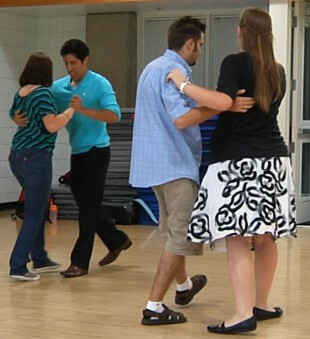 Social dance usually involves a partner, but the social dance class is not limited to couples, and there is no need to bring a partner to take the class. 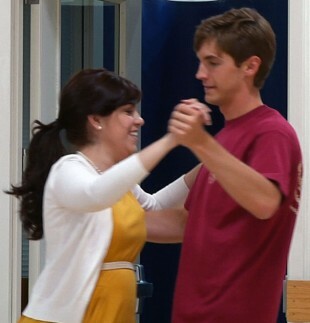 Some dancing skills are better learned by dancing with a variety of partners. Welker hopes that students will continue their life long wellness and love social dance so much that they take the skills they learn on campus and use them in their lives long after they leave college. 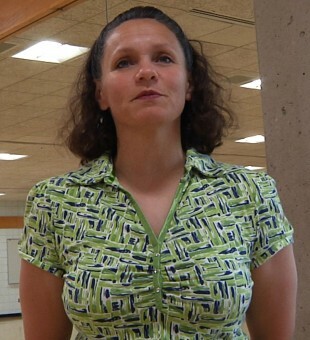 Social Dance Instructor Nina Welker.